Download Squad: "Microsoft is taking the wraps off its new 'Surface' platform, which should be commercially available later this year. 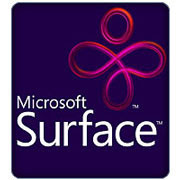 Essentially, Surface lets you interact with a computer via a tabletop interface, no keyboard or separate display needed. Touch the screen to make selections and move images around. Use two hands to make pictures larger or smaller. Or place certain items on the tabletop to interact with the computer. The first Surface computers could cost up to $10,000 so don't expect to pick one up for your living room just yet (unless you're a super early adopter with too much disposable income). Rather, they'll show up at hotels, retail stores, restaurants and casinos first. Harrah's in Las Vegas will have a 'virtual concierge' service letting guests reserve tickets, peruse menus, or make purchases. It's just a matter of time until someone builds a realistic virtual poker application. T-Mobile has signed on to take advantage of Surface's object recognition capabilities, by allowing customers in selected stores to pick up a cellphone, place it on the table and get information about prices and phone plans." Download Squad: "I'd wager that there are a huge number of Windows users who would probably be quite happy with Ubuntu Linux as their day-in day-out OS of choice. 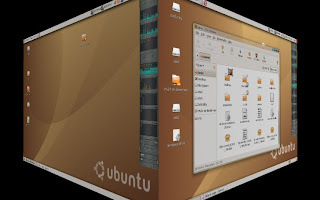 If only there were an easy way to try Ubuntu out on your windows machine without breaking anything, repartitioning or dealing with the diminished performance of a Live CD. You're in luck. Wubi takes the hassle out of installing Ubuntu on a loopback file system located on your Windows partition, while making it bootable just like a real-deal Ubuntu install. In fact, it is a real-deal Ubuntu install, albeit in a slightly unconventional manner. If you go glassy eyed at the word 'loopback', don't worry.. it's just a fancy way of saying that your whole Ubuntu install is self-contained and stored in a single large file on your Windows drive. " FF: "Ubuntu is FREE and Smart... its worth a try <Download>"
Download Squad: "Google is placing advertisements in the body of a limited number of YouTube videos. The interface is rather interesting, with a small text ad showing up on the bottom of the screen partway through the video. If you click on the text of the ad, you're taken to the advertiser's site. If you click the play button on the ad, a video commercial pops up inside the same window as the video you're watching. When the commercial ends, your video resumes. The ads only play when you're watching the video via YouTube. 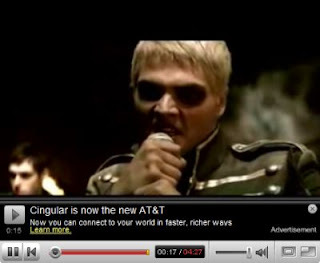 We tried embedding this My Chemical Romance video in a blog post, and the ad didn't show up, which is nice. When you embed clips from other video sites, such as The Onion News Network, you may have to deal with pre-roll ads, which you can't get rid of, and which you don't make any revenue from." FF: "Money Money Money... which is good... we love videos"
Engadget: "Sales records typically don't stand for too long without being overtaken by the next best thing, but somehow, Nokia's el cheapo 1100 handset has reportedly racked up "over 200 million sales" since it launched in 2003. You heard right, this low-end candybar has put the 100 million iPods, 50 million RAZRs, 10 million Chocolates, and 115 million PlayStation 2 consoles to shame in terms of sheer units moved. Interestingly enough, the design team that conjured up this cash cow originally dubbed it "Penny," and the stripped down, dust-proof mobile purportedly entered the market at precisely the right time to catch the booming overseas growth as folks worldwide began snapping up their own cellphone. Of course, such a basic, uninspiring phone isn't for everyone, but considering the 200 million strong that owned one sometime during their life, we'd say Nokia found a winner." FF: "I agree, this is a great phone, it's similar to 8210"